Whiting p is also naturally occuring calcium carbonate. It exists in amorphous form where as calcite exists in crystaline form. Its amorphous form gives tremendous suspending powder in coatings. It is also known as Porbunder Whiting. Chemical Formula : CaCO3, MgCO3, CaMg (CO3)2. Volatile matter : Max 1%. Paints Industry : Used in undercoats, primers, glass putty, distemper, cement primer etc. It is the main ingredients in dry distemper as extender. Rubber Industry : It is very commonly used filler in cable wire, footwerar and many rubber products. Plastic Industry : It has a variety of appliction in plastic products. Pesticide : It is used in pesticide formulation. Other Uses : Use in construction chemical, foundary, welding rod and many other industries. Normal Supplies : 300mesh and micronised or as per customer’s demand. Packing : HDPE bags. 50 Kgs. nett. Material Storage : Store the material in dry area. This material is non-hazardous & non-flammable. Shelf Life : The life span is upto 5 years. Talc is a naturallyaccouring steatite. It is also called as french chalk, soap stone. It comes in brilliant white and off colour.It has extremely soft soappy feeling and the powder is very slippery. Paper : Gives smoothness, brightness to paper & partially replaces TiO2. Also acts as pitch absorber. Paints : Highly recommended for wood finishes, primers, putties, undercoateds, architectural finishes, water based coatings. Its laminar structure helps in better corrosion protection and also improves exterior durability of paints. Recommended for expoxy and exterior paints. 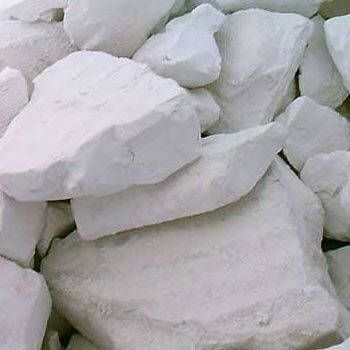 Ceramics : Talc improves resistance to thermal shocks and gives superior electrical properties. It gives greater toughness to speak plugs and switch boards. It also improves dry pressing resistance of ceramic bodies. Foundaries : Used in mould making and for final finish. Plastic & Rubber : Used in variety of application as filler. Cosmetics : Super fine talc powder is used in cosmetic for its smooth silky finish. Normal Supplies : 240/400/700 mesh, talc in both SSW and off white colour or as per customer’s demand. Silica is widely available abundantly in nature. It has natural crystalline structre and has excellent whiteness and brightness. It is inert to acids, alkalies and chemicals. It gives good abrasion resistance. Silica is used in bulk in glass industry, ferro silicon, ferro alloys, welding rods, pottery and other industries. It is also used in making silica ferro manganese alloys. Paints : In wood finish, primers, undercoats, water based paints, distemper, chemical resistsnce coating, floor coatings etc. It is recommended for texture coating and exterior finishes and . Plastic & Rubber : Silica is used as a filler in plastic industry. Construction : Silica is also used in construction chemicals for spray plasters. Normal Supplies : Available in from granules, very fine 700 mesh, both white and off white in color / or as per customer’s demand. Packing : Normal HDPE bags. 25/50 Kgs. nett. Slate Powder is available in Madhya Pradesh. Slate Powder chemically is silica in the form of Aluminium silicate and iron silicate. It contains a small quantity of Calcium, Magnesium & Titanium in oxide form. Slate Powder has a typical greyish black colour. It has Blackboard like properties. Slate is carved and sliced from solid state rocks. Slate cake is powder red and pulverised and then used as Slate Powder. Aappearance : Gryish Black powder. PH of 10% sol. : 8.5 to 9.0. Used as a filler in variety of industries such as paints, rubber, cable, footwear, foundary, etc. Normal Supplies : 240 mesh, and micronised or as per. customer’s demands. Packing : 40 Kgs.HDPE bags. Material Storage : Store the material in dry area , avoiding moisture & dust. This material is non-hazardous & non-flammable. Plaster of paris is manufactured by heating gypsm at 120o – 160oC. When Plaster of Paris is mixed in water it rehydrates and form dense matrix of gypsm crystal. Mixed with water it form. Applications : Plaster of Paris forms the basis of many commercial, Plasters used for interior decoration. As a false cieling, studio sets etc. Packing : HDPE 25/40 Kgs. nett. Material Storage : Store the material in dry area , avoiding moisture & dust. Precipited silica is basically SiO2 of highest purity it is processed under controlled cinditions. Gives good absorption resisitance. Physical appearance : Snow white free flowing powder. Rubber : Most important use is in rubber industry for making light weight hawai chappals. Plastic : Used as a weight reducing filler in plastic products. Paints : As matting agent and as good suspender in a variety of industrial & decorative paints. Also used in traffic paints. Flooring Compunds: Used in many floor coatings, PVC tiles, etc. Packing : HDPE bags. 20 Kgs. nett. Material Storage : Store the material in dry and well ventilated area , avoiding moisture & dust. This material is non-flammable. Precipitated Calcium Carbonate is basically a calcium carbonate made under controlled condition, bleached cleaned to get finest, brightest whit micro particles. It is preferred in industry due to ease of dispersion and consistancy. Plastics : Most preferred mineral in PVC chappal,PVC pipes and industrial products. Rubber : Widely used in high value rubber products. Paints : Versatile application in paint industry. Used in distempers, emulsion paints, architectural finishes, flat paints, traffic paints, industrial primer, undercoats, putties and finishes. Paper Industry : Most convienent filler in paper manufacture. Also used in soft boards. Other Application : usde widely in construction chemical, rigid, PVC pipes, leather cloth industry, cable compound, and used for dusting, polishing, neutralising and other processes. Normal Supplies : Avalaible in 240 mesh & 400 mesh micronised or as per customer’s demand. Material Storage : Stable under ordinary condition. Keep in cool, dry well ventilated area. Keep away from strong acids. Barytes is chemically naturally occuring barium sulphate with nodular particle structure. Supplied in super snow white (SSW) and off colour and it is a fine flow powder. It is insoluble in water and has low oil absorption. This coupled wuth strong crystaline structure and high refractive index helps it to imprat strenght. Barytes contain minium 93 to 97% barium sulphate. Chemically insert. Unaffected by acids and alkali. Highly stable at high temp. Paint : Used as filler in paint industries and construction chemicals for primer, undercoat and putties. Plastic : Used as filler in plastics. Special Note : Barytes is a hard powder, so difficult to grind. It is always recommended to use pre micronised barytes for outstanding results. Normal Supplies : Avaliable in SSW and off colour grades. Supplied At : 300 mesh, and micro barytes of 700 mesh. India is the single largest source of mica in the world. Muscovite Mica is the best varitey avaliable from Rajasthan. Mica is a dry sultry powder chemically inert, immune to climatic variations, non toxic, tough and water proof with excellent anti sticking property. Mica is highly responsive to the action of light, heat, and electrical energy. Pearl pigment: Pigment are coated with mica to make pearl pigments. Paper Industry : For making wall paper and coated paper. Paint Industry : To make good anti corrosive paint, primer, under coat, water based paints exterior coating, chemical resistant coating etc. Used in marine paints and aluminium paints. Plastic Industry : Used in plastic Industry as a filler an mica improves electrical and thermal resistance and boost in insulation properties. Mica has innumberable uses in many industries like fire extinguishers, oil drilling, construction chemical, building material, lubricants, adhesives, and foundaries. Normal Supplies : 240 mesh, and micronised / or as per customer’s demand. Shelf Life : The life span is upto 5 year. The basic difference between natural graphite and synthetic graphite is synthetic one is manufactured by converting carbon under high temperature. Synthetic graphite has enormous appplication in electronic special dry cells and in aluminium mettalurgy. Its biggest use is in steel foundaries and mercury cells. Fineness : 96% on BS 325 mesh. : 96% on BS 325 mesh. Wherever graphite is required in high purity, synthetic graphite is prefered. Modern battery cells, steel foundary and electric arc furance, elecric arc tubes, and many others use synthetic graphite. Packing : HDPE 50 Kgs. nett.